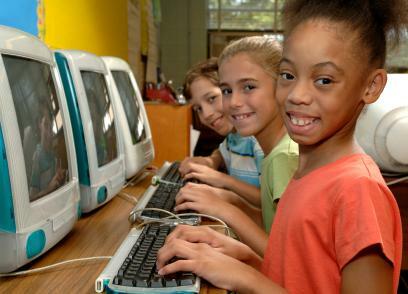 The Child Internet Safety Act or Child Internet Protection Act was a law enacted by Congress in December 2000. This act was designed to protect minors from offensive content when they surf the Internet in schools or public libraries. The Child Internet Safety Act requires schools or libraries seeking funding from the government have safeguards in place to protect minors from viewing offensive Web sites. This technology funding is known as the E-rate program. Safety measures that must be in place at the school or library include having filtering software on all computers that minors have access to and a written safety policy that all students have agreed to. The policy must also include a plan for monitoring the activity of minors while they are using the Internet. A copy of this policy must be posted in a clearly visible place and must be provided when applying for E-rate funding. Each school or library can decide how its safety policy is enforced. Libraries often have policies where the offender is warned, then they are suspended if the behavior continues. Patrons that are repeat offenders may be banned from using computers for a specific period of time. Schools may give students warnings and detention if they don't follow the Internet safety policy. The safety act doesn't stop adults from viewing offensive content. It also doesn't protect children from accessing offensive content in their homes or on other computers outside of the school or library system. Parents need to provide their own safety measures on their home computers to filter out undesirable content. Luckily, many Internet providers offer filters in their browser software that can help block out undesirable adult content when children are online. The safety act does not require the monitoring of each site that a minor visits. Most software that is used in public schools and libraries can filter out the majority of undesirable Web sites. The software can do this by seeking out specific keywords and blocking sites that have these keywords. Those that maintain these computer systems in the schools and libraries can also block specific sites as they become aware of them. The Child Internet Safety Act seeks to protect our children from offensive content while they are at school or public library. This is good news to parents who worry about what their children are viewing when they are away from home. Unfortunately this safety act can't stop everything that children may view while on the Internet. New sites are created every day and this makes policing the Internet a very difficult job, especially for systems administrators. Parents can rest assured though that schools and libraries are doing everything possible to provide a safe learning environment for children.